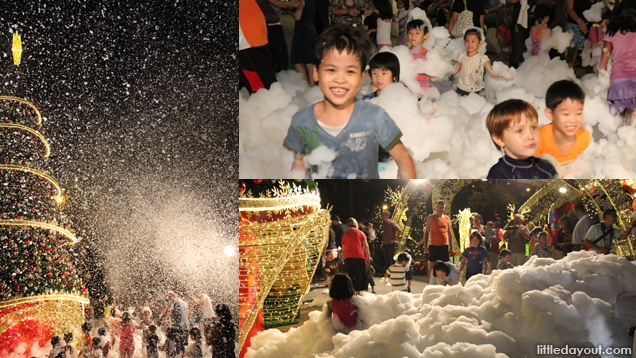 We continue with our feature on Santa & Snow in the Tropics with a special focus on the snowing that happens in sunny Singapore every Christmas season. 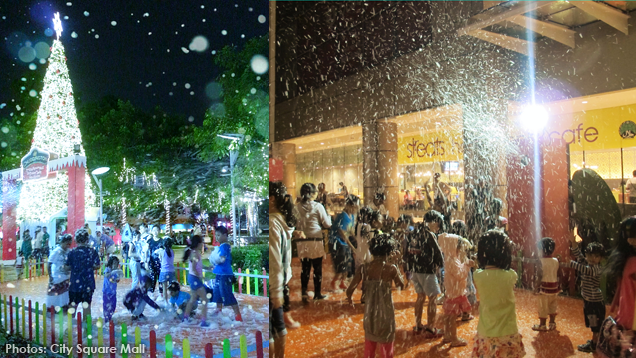 For the longest time, it has been snowing every Christmas season at Tanglin Mall except on rainy evenings. 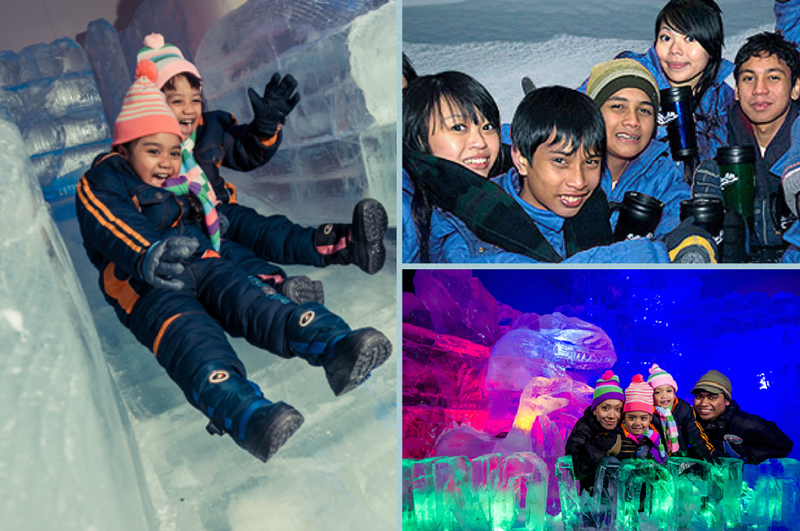 And now, Singapore’s first eco-mall – City Square Mall – has joined in the snowy fray too! 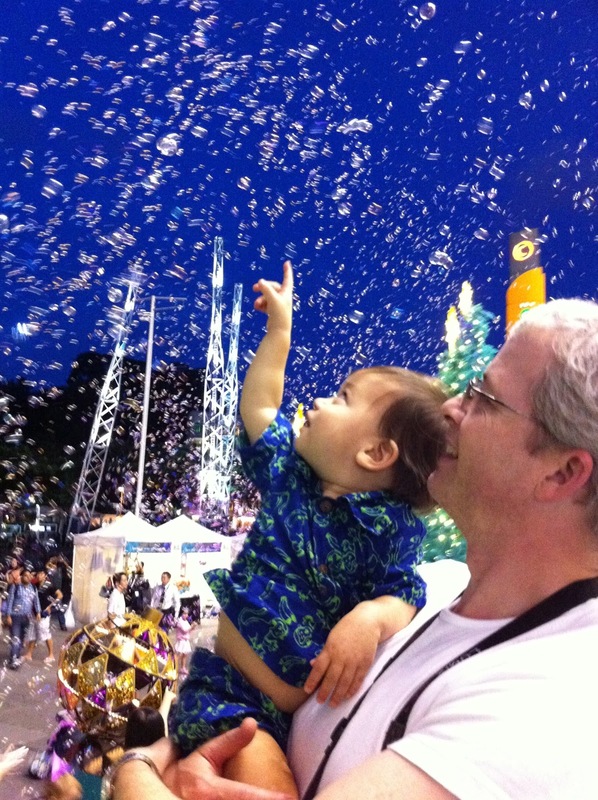 Frolick in the snow and get all wrapped up in the magical wonder of snowfall at Tanglin Mall! The evenings begin first with the puffy buildup of a snow-white avalanche followed by the fairytale moment when the snowflakes fall. Even if you’re not watching from a sheltered distance at Starbucks, you’ll know exactly when each segment begins – you’ll hear the shrieks and shrills from the happy kids! Two machines, one on each side of the glittering Christmas tree, pump out waist-high foam and the children will waste no time diving in for some frolicking good fun. 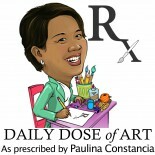 This entry was posted on December 5, 2012 by Paulina Constancia in Bond, Imagine and tagged Christmas, living abroad, world cultures.